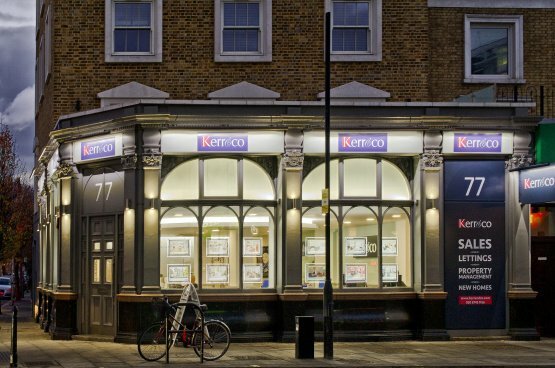 Its Official – Kerr and Co are the Number 1 Estate Agent in Shepherds Bush for the Fourth Year in a Row. Kerr and Co are not known for blowing our trumpet, so when we do its normally for an incredibly good reason. I am absolutely delighted that Kerr and Co have been named Best Estate Agent in Shepherds Bush 2018 and Best Estate Agent in Central West London 2018 by All Agents. I would like to thank all our clients who have trusted our judgement, knowledge and commitment to give the best possible service over the past 12 months. Our recent Awards by All Agents Independent survey of the Estate Agents reiterates the fact that Kerr and Co are the No1 Estate Agent in Shepherds Bush and Hammersmith with two Gold Awards for Sales Team and a Sliver Award for our Lettings Team. This is the fourth year in a row we have been presented this prestigious award and it means an enormous amount to all of us at Kerr and Co. This goes to show that big chain agents have had their day as clients admire the friendly, welcoming yet flexible and practical approach that small independent firms can offer. It has to be said that this would not be possible without the exceptional dedication my staff have shown over many many years, all of whom are highly experienced and have been with the company for significantly over 15 years each. No other firm locally or very few throughout London can offer such a wealth of experience. I would like to thank all clients that have used our services over the past year and wish them all the very best for the future. Those that have moved locally our doors are always open should you need our professional services or any assistance over the coming years!